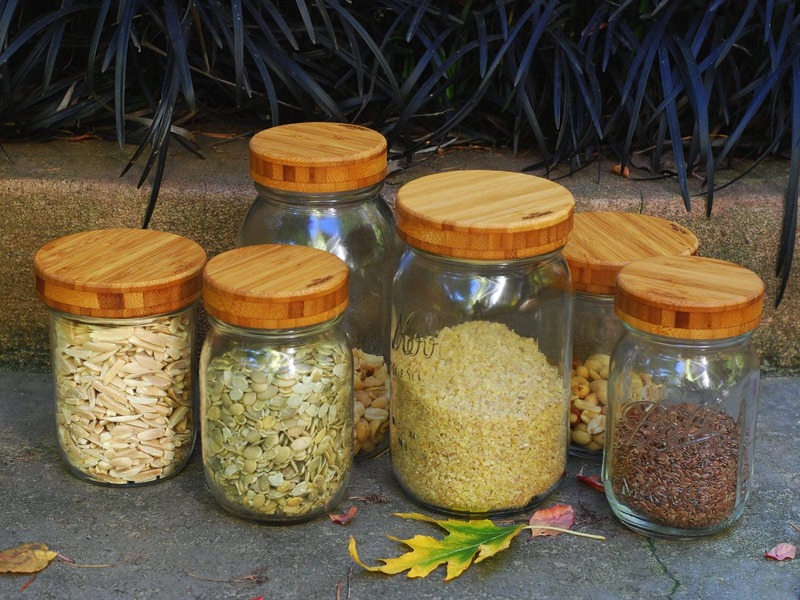 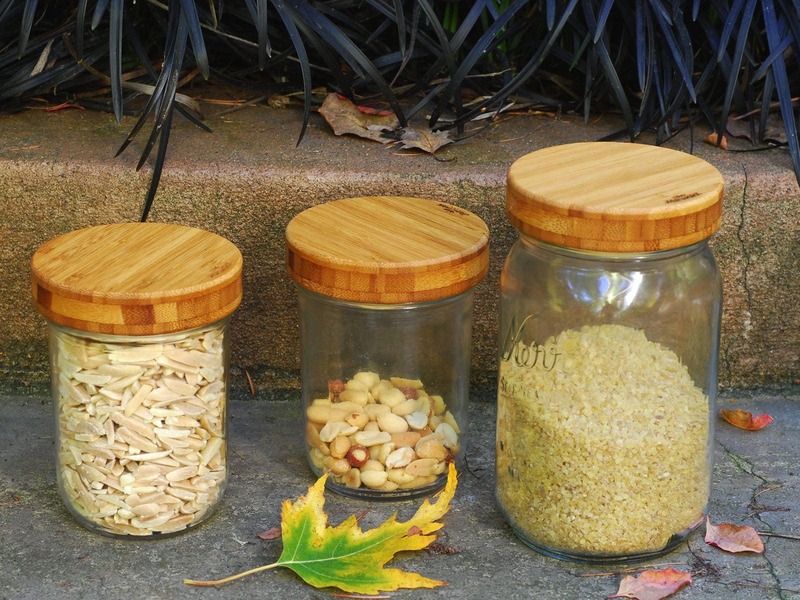 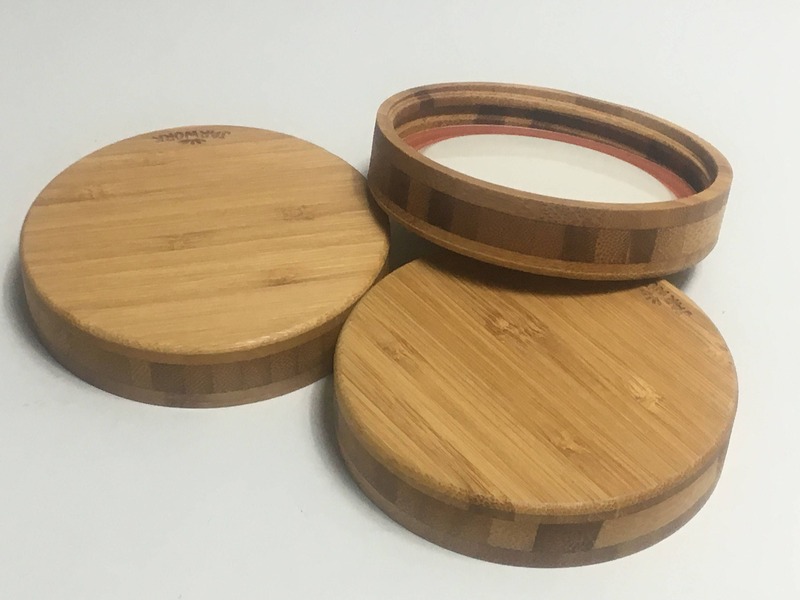 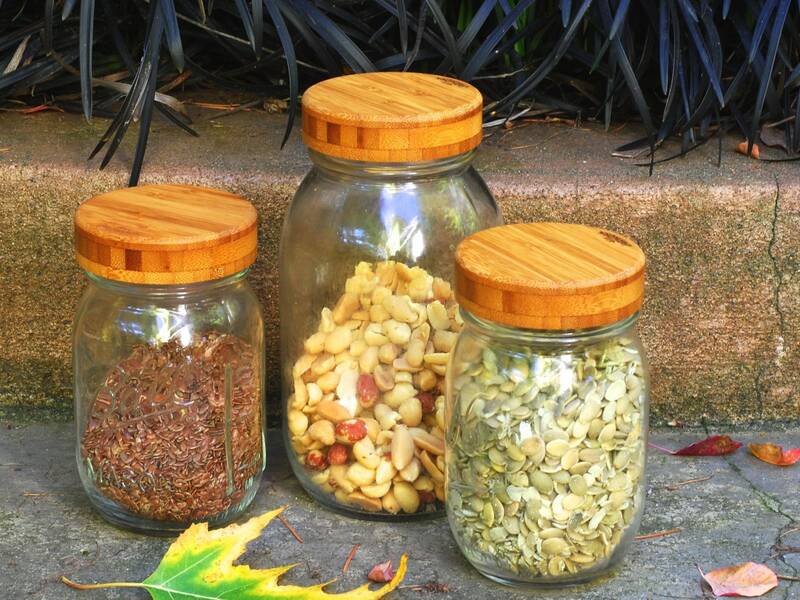 These wooden lids turn your Mason jars instantly into show pieces that you are proud to show in your kitchen, office or work place, and are perfect for storing dried goods like nuts, beans, herbs, etc. 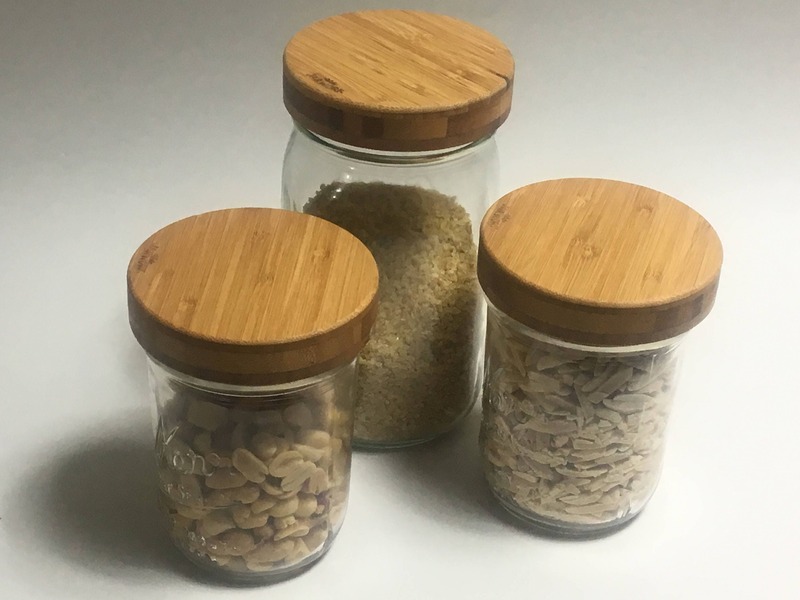 The custom machined threaded lid fit standard Regular/Wide Mouth Mason jars and are tested with both Kerr and Ball brands. 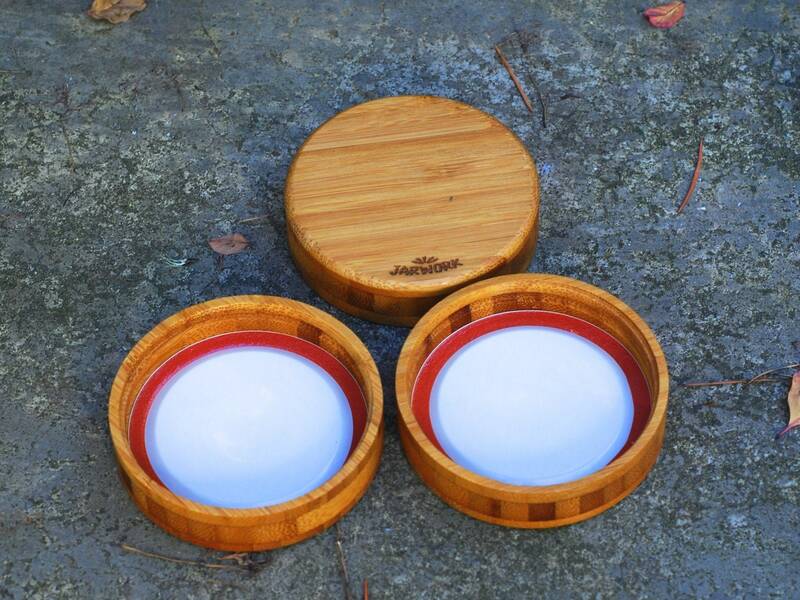 Optionally an original Kerr airtight seal can be installed into the lids. 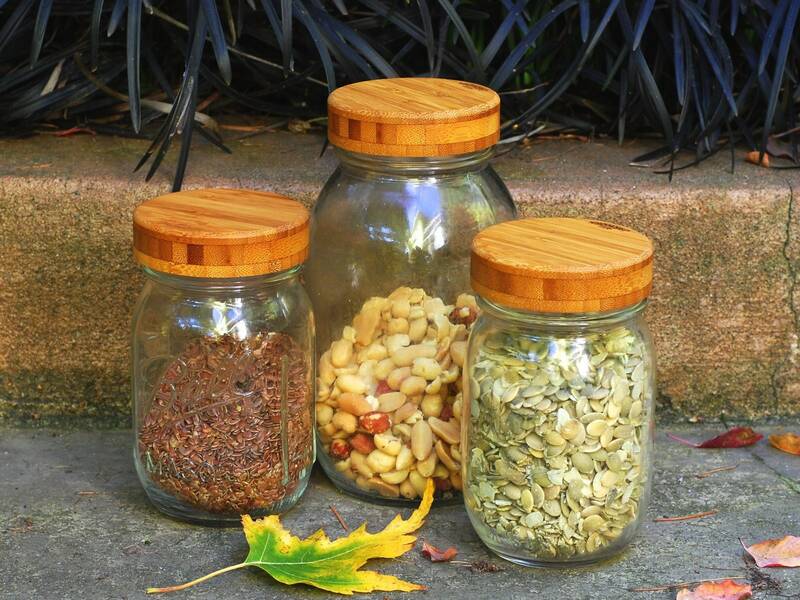 Even with a seal installed, these lids should NOT be used for canning and are NOT recommended when storing fluids.